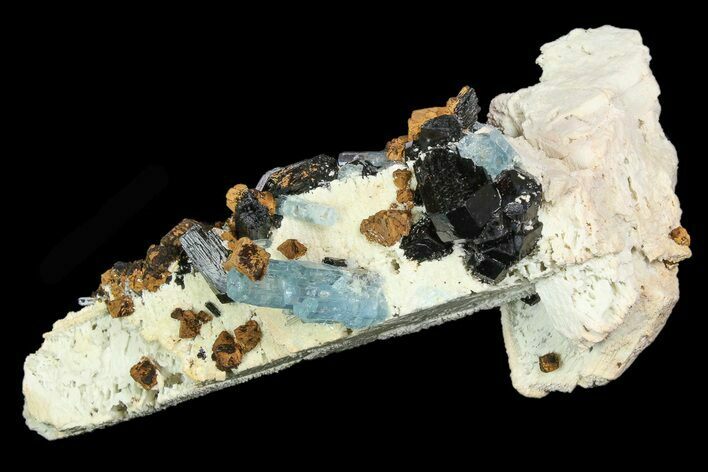 This is a phenomenal specimen that contains pristine aquamarine crystals and black tourmaline on a feldspar crystal matrix, collected from the Erongo Mountains in Namibia. 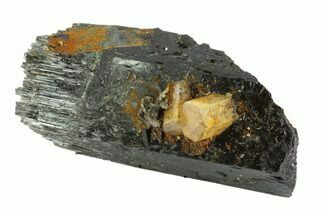 The brown minerals on this specimen are formations of goethite after siderite. This is a truly breathtaking mineral association. The entire specimen is 8.6" long, and the longest aquamarine crystal cluster is 1.55" long. 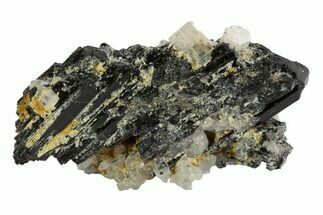 Feldspars are a group of rock-forming tectosilicate minerals. 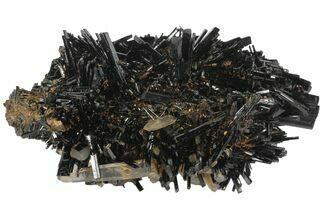 It is also one of the most common minerals on earth, making up nearly 60% of the crust. 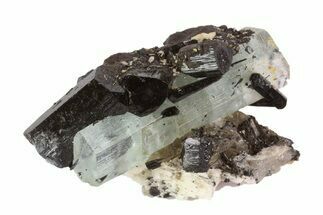 Beryl is a mineral composed of beryllium aluminium cyclosilicate with the chemical formula Be3Al2(Si O3)6. Well known varieties of beryl include aquamarine and emerald. 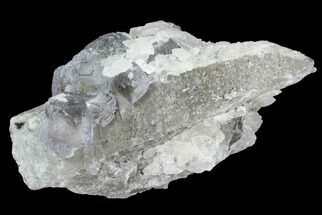 Clear beryl is known as goshenite. 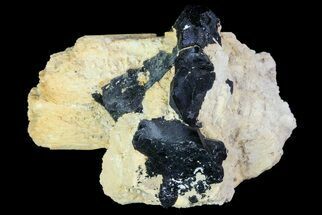 Naturally occurring, hexagonal crystals of beryl can be up to several meters in size; terminated crystals are relatively rare.